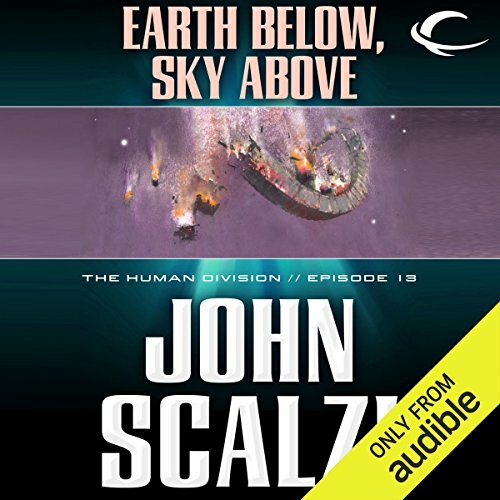 "Earth Below, Sky Above" is a tale from John Scalzi's The Human Division, a series of self-contained but interrelated short stories set in the Old Man's War universe. The thrilling conclusion to Scalzi's serial "The Human Division" series nevertheless ends with a wide-open story still to be told. We finally get the biggest space battle yet, along with some harrowing scenes of danger facing our principle characters. If you've followed the series up till now, you will be satisfyingly rewarded, yet salivating for more. Lets hope the sequel, in whatever form it may take, will come out soon! Go Down with the Ship! Season 1 Ends Here! This one has almost everything you can hope for with regards to a finale. Bar fight! Ambushes! Escapes! Flirtations! Old friends! First Cousins! Unitards! Sacrifices! I enjoyed it, but half way through things get as intense as you could hope for. Don't be fooled by the Final Episode tags - this is really more like a season finale, and there will be more. That said, I am disappointed with some of the revelations - or more accurately, the lack thereof. 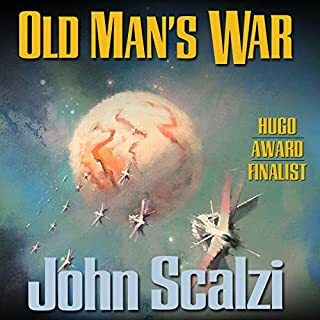 There's one Scalzi's been stringing along since the very first episode, and it's a bit frustrating to still know very little about it. Dufris's narration, as usual, was excellent. He provided levity when necessary, and expertly helped ratchet up the tension. All-in-all, it was a fun way to spend Tuesdays, so I'm glad the ride doesn't quite end here, and look forward to more adventures with the B-Team. Ok then, here you get it all, a lot of the characters during this whole series are either there or talked about, so many dots get connected and so many questions come up, the main question for sure is "WHO THE ^&%# IS BEHIND ALL OF THIS??" Let me say this book is all about earth and its future, you are going to love this book if you are a fan of this series. Its the best book. Looking forward to see what will happen in the upcoming series . STORY - This is definitely one of the better books in this series of short stories. 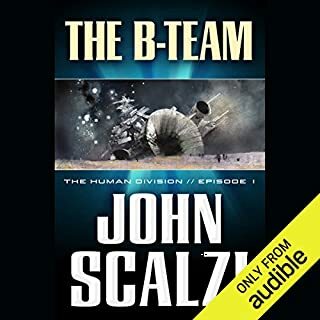 The main characters from the other books have all joined together in this one, and "The B Team" from Book 1 finally is acknowledged as a topnotch A team. There is some good sci-fi action -- attack upon space stations, humans escaping into shuttles, good stuff. 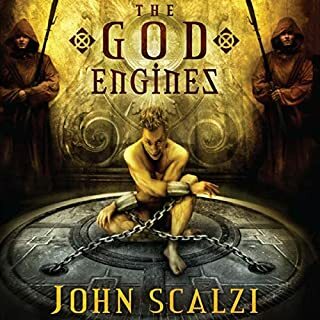 If Scalzi writes other books in this series, I will consider hearing them. I haven't completely enjoyed this series as a whole, as some of the books have been quite boring, but the saga has gained speed and I'm interested in how the human race will survive this division amongst themselves. 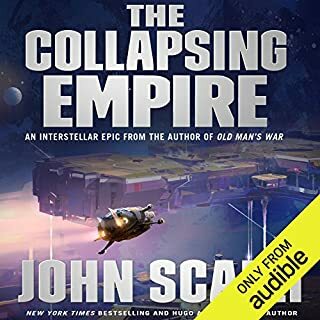 Scalzi's irritating writing style of identifying the speakers every time they open their mouths is not quite as bothersome in this book, though it used to drive me INSANE! PERFORMANCE - Okay. Doesn't add or subtract from the story. OVERALL- Good book. The problem is that it doesn't really stand alone so you kinda need to hear the other 12 short stories that come before this one and -- well, they haven't been as good as this one. I was surprised that this was the last “episode” of the book because the story just…stopped. I was initially intrigued by the episodic nature of this “book”, but I don’t think I will do this again. Keeping track of the 13 parts on my MP3 player is a pain. I liked the different perspectives portrayed through the episodes, but it seemed like a couple of them were just thrown in to fill out the “book”. William Dufris is a fantastic narrator, and I love the “Old Man’s War” universe, but there is a reason why books with multiple perspectives are 40 hours long. In general, I enjoy Scalzi’s stories, but someone should do a word count to see how many times the word “said” is used in his work. My wife will no longer listen to his books because of the repetition of that word. It seems to show up about every 10 seconds, which makes about 3600 times in a 10 hour book. I’m sure this is an exaggeration… well, maybe not THAT sure. Enough said. 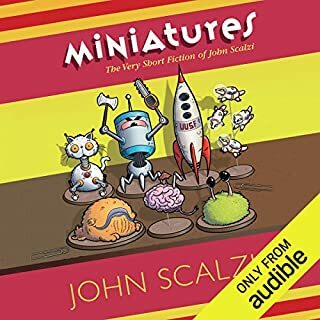 I've read every thing Scalzi has written since I stumbled across "The Little Fuzzy". Bare in mind, I don't typically like Science Fiction, I'm a really old man. Scalzi is the only exception. He writes with consideration for people who are not young techno-wizards who can visualize anything tech and ascribe an actual entity to a verbal description. In other words; I could understand every paragraph. His plots are intriguing; his characterization is complete; and his stories are very interesting and fast paced. Last but truly best is Scalzi's sense of humor. His Characters have great humor; making all of his books fun to read. 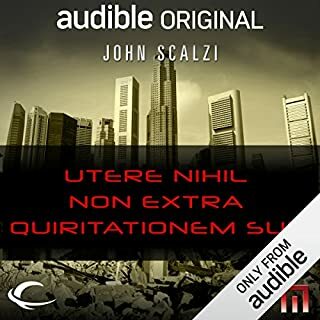 I would really like to crawl through Scalzi's brain. That would be a very interesting and fun trip. Really, I have loved every book he has written and I'm waiting for the next. Lastly, I watched Will Wheaten grow up on T.V., but didn't expect to ever hear him as a narrator with that whinny voice on STNG. I was so wrong. He is a great narrator with flexibility, humor, expression, and a depth that blows me away. I love everything in the expanse universe. great writing with just the right amount of humor. perfect narrator too. Up to Scalzi's standards, which are high. The action is well done. Interesting characters. Worth a read. 1 star awful or unbelievable.